“I don’t think candy is bad for you,” said Rachel Johnson, a nutrition professor at the University of Vermont who was the lead author of the American Heart Association’s comprehensive 2009 review of the scientific literature on sugar and cardiovascular health. Johnson’s allies in her quest to redeem candy from its bad reputation include Candy Professor blogger Samira Kawash. She started her blog after a playdate gone bad: at snacktime, she brought out some candy for her three year old, and the other mom freaked out; her kid had never tasted sugar. “It was clear to me that there was an irrational equation of candy and danger in that house,” Dr. Kawash said…From that train of thought, the Candy Professor blog was born. In her writing there, Dr. Kawash dives deep into the American relationship with candy, finding irrational and interesting ideas everywhere. 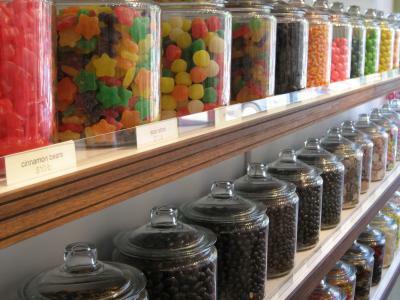 The big idea behind Candy Professor is that candy carries so much moral and ethical baggage that people view it as fundamentally different – in a bad way – from other kinds of food…”At least candy is honest about what it is,” she said. I’ve had many experiences like Kawash’s, where other parents have gotten nervous because my kids are allowed to eat candy. Not only are they allowed to eat it, they get to eat it whenever they want! And they decide how much to eat! My kids (ages 7 – 4) have food shelves they can reach on their own with candy on them. And yes, sometimes they eat gummy bears for breakfast or Reeses right before dinner, or oreos with their dinner. But guess what– candy isn’t a big deal to them. My seven year old’s absolute favorite food is Korean sushi. And seaweed. She has close friends who are Korean and that’s the food they get but she doesn’t, the unavailable “treat” that fascinates her. My kids don’t overeat sugar. On Halloween, they won’t be freaking out because they have bags of candy. There won’t be tears and fights and struggles for control, because candy isn’t forbidden and, as much as possible, I don’t control what they eat. My kids have lots of “healthy” foods on their shelves too including nuts, carrots, sliced apples, hummus, kidney beans– my 4 year old’s favorite because she thinks they’re smiles. Hopefully I’ll get to the Korean Market that sells kimbap and add that to the home menu. If parents would calm down about sugar, their kids would too. I think the best thing parents can do– especially parents of girls who get so many negative messages about food, hunger, and weight– is to relax around eating. These aren’t my own ideas by the way. After I had my second daughter, I read an amazing book: “Preventing Childhood Eating Problems” by Jane Hirshmann and Lela Zaphiropoulus. I read it because I had an eating disorder and the way I finally got better– after years of ineffective therapy and programs and nutritionists, most which repeatedly told me I had a “disease” I’d live with forever– was to stop listening to “experts” and start listening to my body. I hope my kids are learning the same skills much earlier by tuning into themselves, and not me, to tell them what or how much to eat. You can read more about how I learned to do that and how I raise my kids here. 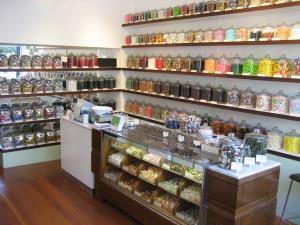 Now get yourself over to The Candy Store on Vallejo and Polk in Russian Hill, the best sweet shop in the city! 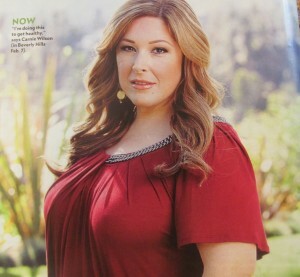 With Carnie Wilson’s “Unstapled” and Kirstie Alley’s “Big Life” debuting this season, I count six reality shows about fat people including “The Biggest Loser,” “Biggest Loser: Couples,” “Ruby” and “Celebrity Fit Club.” As America’s weight obsession baloons into ever larger proportions, so do Americans. 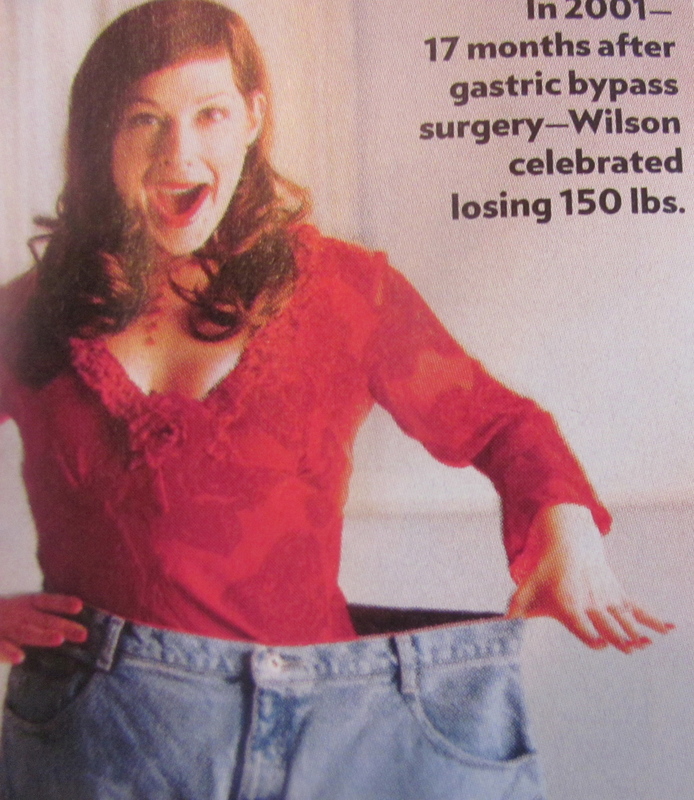 Wilson and Alley’s new programs are strikingly similar, both featuring women who famously, very publicly lost weight (Carnie with a stomach stapling broadcast live on the internet, Alley as a spokesperson for Jenny Craig) then gained it back, now returning to our screens to lose it once more. Carnie sounds to me like a woman who has never once in her life lay down on her couch with a bowl of buttered popcorn without feeling horrible and guilty and ashamed. I’d bet the same is true for her meatballs– lean or not. And can you imagine baking a cheesecake and only allowing yourself one bite? I know because I was a sick one, not overweight, but bulimic. In my journey to get better, I was told by almost every therapist-expert-nutritinionist from New York to California that I would never recover, but be “in recovery” for life. At best, I could “manage my disease.” Now I think I understand why they say this. Health, to many eating disorder experts and maybe to America, means being just the perfect amount of sick; we’re supposed to be obsessed with food and dieting and our appearance; we’re supposed to have the knowledge and skill to calculate fat grams, calories, time spent excercising and BMI equations like modern day Einsteins. Understanding basic nutrition can be useful, but obsession with it– “healthy” people writing down daily food intake, multitple TV programs on fat people, a first lady’s national campaign that includes the President publicly calling his young daughter chubby– becomes unhealthy, especially confusing and damaging when it’s portrayed as it’s opposite. Even though I was told I would never get better, I am 100%, over ten years later. What got me healthy was escaping from all the “experts” I encountered over the years; and all of their rules, restrictions, regulations, and diets they all prescribed– all different and contradictory, by the way, just like today with Dean Ornish vs Atkins vs the ever-changing food pyramid vs counting fat grams or calories or whatever’s going to be the trend in 2010– eating local? Works for me, I live in California. When I was submerged in the eating disorder/ recovery world, I was told off the wall stuff– just like what Oz may be telling Carnie– that I was “addicted” to certain foods (or “allergic”) like sugar and flour; these were white powders that had an effect on me just like cocaine. I paid people $175 an hour to tell me this– that just like a coke addict, if I took one bite of any food that had white powder (bread, muffins, cereal– we’re talking wheat here) like any addict, I would lose all control, eat and eat and eat and never stop. This, by the way, is what every bulimic fears: if she starts eating, she will consume the whole planet. This is a central misconception she must abandon in order to get better; that there is, in fact, always a natural boundary, an end, a stopping. I stopped thinking being thin was good and being fat was bad. I read an amazing book caled When Women Stop Hating their Bodies and went to a program called Beyond Hunger in Marin. This is what they taught me there: if you eat a loaf of bread, go out and buy more loaves. Same with a bag of chips. Fill your house with anything you’ve ever wanted in abundance and eat whetever you want and replenish it. As I did that and for the first time in my adult life, allowed myself to eat what I wanted, whenever I wanted, without feeling bad or guilty, I got back in touch with real hunger and real fullness; my eating disorder vanished. It’s true that I was never “overweight” but I believe obese people, so often, along with bulimics and anoexics, regulate food more than most other people, are more conscious and more knowledgable about health and fat grams and calories than the rest. Most don’t need a national campaign to educate them further. I wish Carnie would learn to listen to her body and teach her daughters to do the same instead of listening to all the noise on commercials and reality shows, including, sadly, her own. People with eating disorders don’t need more instruction and facts, they need less. Food is not a drug or a moral barometer. Food is food is food. Can we have a reality show about that?